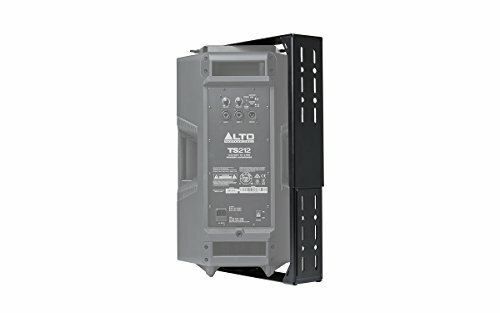 Alto Professional TSB125 is a wall-mount bracket for TS212, TS212W, TS215 and TS215W series speakers. Custom made to suspend the alto TS2 series, this bracket enables vertical or horizontal positioning so you can angle the speakers to the specifications your environment needs. Also, this gets the speakers off the ground for a larger performance/stage area and will provide a much greater bass response due to the having the wall directly behind the speaker which will act as an acoustic mirror.